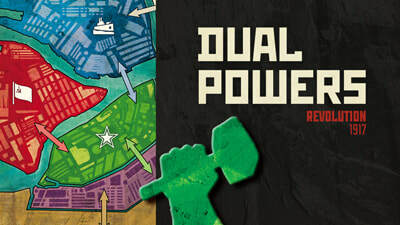 Dual Power: Revolution 1917 is Available Now! 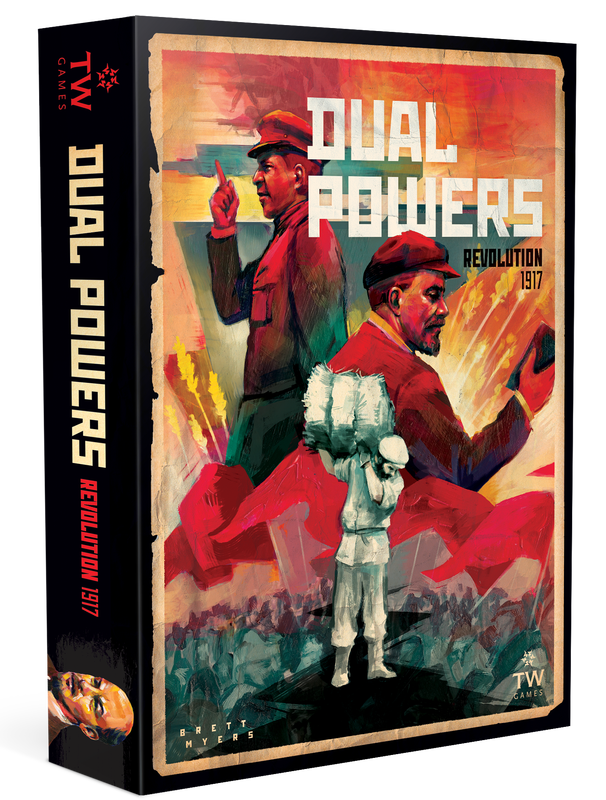 Hot off the presses, Dual Powers: Revolution 1917 is now in stock! Order now in our store and join the Revolution! ​Visit our How to Play page for a quick overview or to watch the How to Play Video. ​Play takes place over five phases in each round. DRAW PHASE - Each player draws five cards. 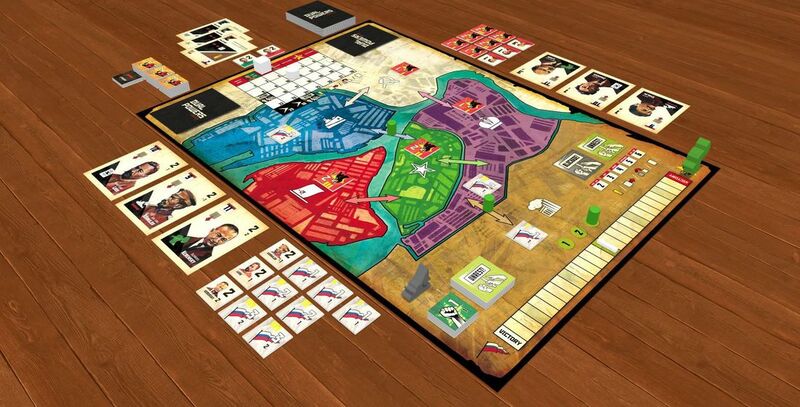 OBJECTIVE PHASE - The Area of Great Unrest is established on the game board. Then, players simultaneously select a secret objective to score at the end of the game round. ACTION PHASE - Players each take four actions by playing cards, placing units in regions, moving units, and advancing the date marker on the game calendar. SCORING PHASE - Each player's secret objective is revealed. Each secret objective and the Area of Great Unrest is scored. All units in scored regions are exhausted. CLEANUP PHASE - Played cards are discarded, if no player has won, the game board is prepared for the next round. 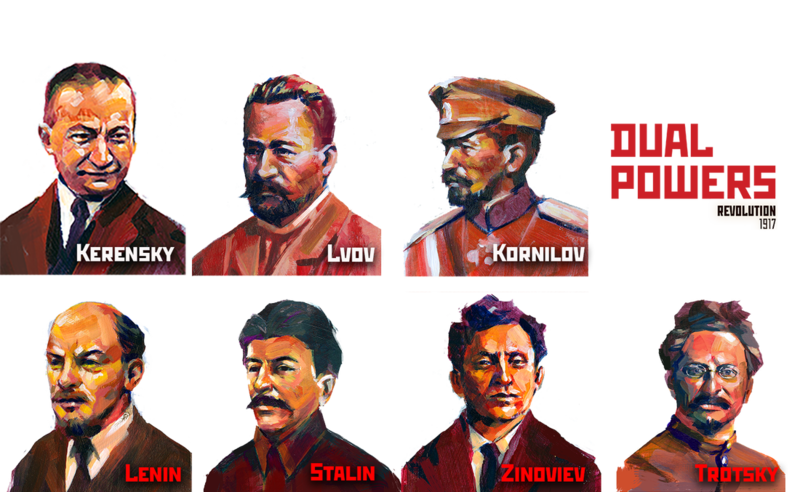 Join our Dual Powers: Revolution 1917 Facebook Group! Gain access to ALL of our Dual Powers updates, including news, game play and component pics, strategy, and information about our game! Join Now!